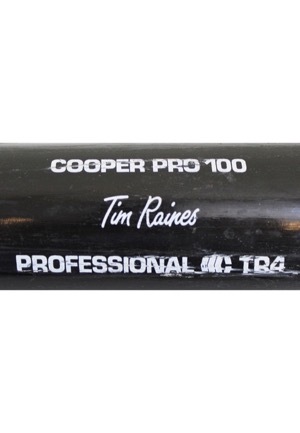 Manufacturer: Cooper Model Number: TR4 Labeling Period: 1993-95 Length: 33.375 inches Weight: 30.8 ounces Wood: Ash Finish: Black/Natural. 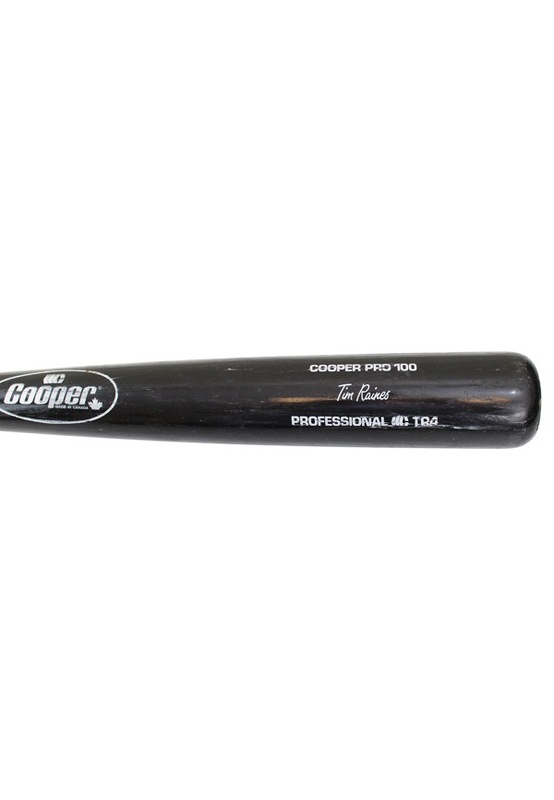 The bat is uncracked and shows evidence of excellent use with a small chip on the knob. 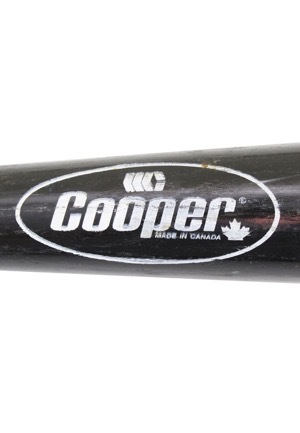 The length and weight are stamped on the knob. 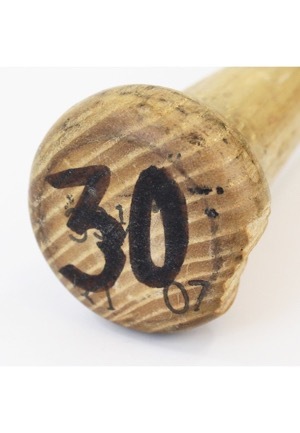 The player number “30” is handwritten on the knob in black marker. Accompanied by a LOA from PSA/DNA.